What do you do? I do photography, films, and weird projects. Camera of choice? Contax T2 and Sony P200. You recently moved to Los Angeles, what are your thoughts so far? It’s heaven! The first time I came here I had a really weird feeling about the city by the space and emptiness, I was a bit lost, but the more I was visiting the more I was appreciating it, the light here is crazy, it’s very graphic, and I love the people here. Where did you grow up? I grew up in Brussels the capital of Belgium, It’s probably the total opposite of Los Angeles, and that’s what I like. How many zines have you made? Around 10, most of them were collaborations with friends, back in 2009 one of my friend's Félix was into drawing and making zines, he was collecting cellphone pictures of me and other friends from our hangouts, and ended up making zines out of them. Tell us about your new zine Arini? Arini is a street fad of the Nike Tns in Europe. Being the most expensive model of Nike, they are depicted as trophies and styled with guns, money and animals. 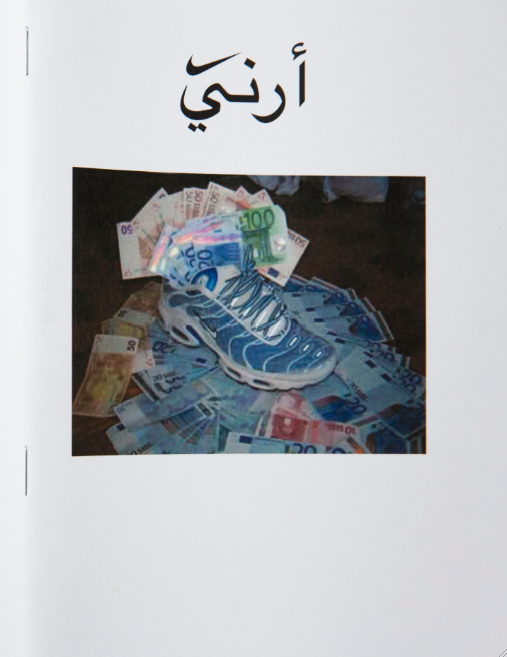 The zine features a collection of pictures sourced from weird and out dated blogging platforms, It is like a fantasy brought to life. The background, the quality of images, the associations of colors it is like a real treasure finding them and I felt like it deserves to be printed in a zine, not just hiding in the internet.